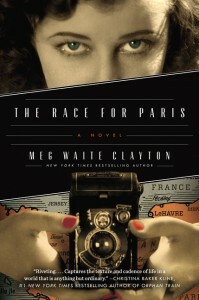 The Race for Paris by Meg Waite Clayton is riveting from the start and a careful blend of fact and fiction about WWII and the female reporters and photographers who were often relegated to the field hospitals and sidelines while their male counterparts were allowed closer to the front and on reconnaissance missions. Clayton’s characters tough cookies, and they have to be as they face the possibility of death once they’ve ignored their orders to remain at the field hospital. Liv Harper, an Associated Press photographer know for her blurred faces, and Jane, a reporter for the Nashville Banner, find themselves accompanied by Fletcher, Liv’s husband’s friend. Fletcher is a British military photographer who often goes it alone in the field to gather intelligence with his photos for the Allied forces, but he’s had a flame burning for Liv ever since he met her. This unlikely trio is determine to make it to Paris before the other reporters to photograph and tell the tale of its liberation. Liv has secrets too, and only Jane is aware of some of them. 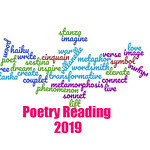 While Fletcher and Liv are striving toward the front as if chased by ghosts, Jane is tagging along, not so much for the good of her career as someone who cushions the blows that they receive along the way. She becomes the sounding board for each of them, while she keeps her own council. Jane is a strong woman, though timid, while Liv is a wild wire set to explode. Fletcher has taken it upon himself to protect them both, though his desire for Liv often steers him into danger. While Clayton’s triangle here could be construed merely as a romantic tug-of-war, it is isn’t. There are more nuanced dynamics at play here, as WWII has touched Fletcher and Liv in very different ways and Jane is observing it as it plays out. The Race for Paris by Meg Waite Clayton looks through the lens of journalists during one of the most sweeping, horrifying, and tense wars in our world history to provide an encapsulated view of the fighting, the discrimination against female journalists, and the battles dedicated people had to endure to achieve their goals. 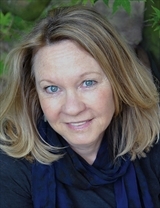 Meg Waite Clayton is the New York Times bestselling author of four previous novels: The Four Ms. Bradwells; The Wednesday Sisters; The Language of Light, a finalist for the Bellwether Prize; and The Wednesday Daughters. She’s written for the Los Angeles Times, the New York Times, the Washington Post, the San Jose Mercury News, Forbes, Writer’s Digest, Runner’s World, and public radio. A graduate of the University of Michigan Law School, she lives in Palo Alto, California. Glad you loved this one, too. I was glad it didn’t become about a love triangle. The female journalists of this era fascinate me – they had a lot of courage to do what they did. Female journalists in war zones, like male journalists, amaze me. 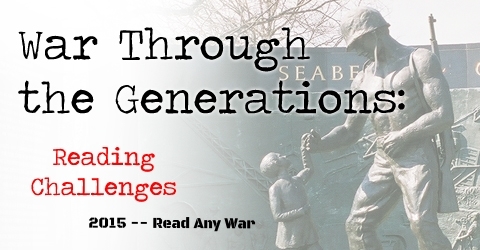 I’m really looking forward to this book!